Would you like to schedule an appointment with one of our counsellors? Safety, Acceptance, Respect, Understanding, Encouragement, Empowerment, and Direction. Many of these elements will be on your checklist and presents the experience you want from counselling. In my shared duties as a counsellor and Executive Director of the Pembina Counselling Centre, we strive together as trained clinicians to leave you with this kind of experience. For each of us it is not just a job, but a privilege to get to know you and to journey with you. Everyone is coming from their unique situation in life and so you will all have your own specific needs. Counsellors have to get to know each client individually to relate effectively to your purposes for seeking help. So we will collaborate together with you to explore your concerns. Whether it is to process aspects of your life in order to make sense of what you are going through, to find hope again, gain direction, or find support to encourage you along the way. This matches the life mission which each of us as counsellors with Pembina Counselling Centre aspires to. I am on a journey as well. I consider myself a lifelong learner and seeker of wisdom. I get excited when I gain insight into how things work. I believe there is hope for everyone in every situation, because I believe God loves everyone and is passionate about restoring people. So no matter what your concern, you’re invited to come and talk about it with one of our counsellors. We are ready to journey with you. Angela holds a Masters degree in Counselling. Following her education, she worked as a Teaching Assistant to help train other counsellors with the counselling faculty at Providence Seminary. During this time she also maintained a practice. Angela comes highly recommended by her clinical colleagues for her ability to connect well with people from a wide variety of backgrounds. Angela has had a lifelong interest in health and healing and has always enjoyed listening to people share their own unique story. Foundational to her work is the belief in the resiliency of the human spirit. As a cancer survivor, Angela brings an acute understanding of pain as well as a hopeful view of the future. She is genuine, compassionate and provides a safe space to explore hard things. Her approach to therapy is holistic and collaborative, she believes in working together to help clients discover new ways to overcome the struggles they face. Angela makes it her goal to understand each individual from their frame of reference and provides encouragement, support and thoughtful insight. She provides individual therapy to youth and adults and has experience working with a range of issues such as Anxiety/ Depression, Relationship Issues, Grief, Trauma, Anger Management, Life transitions, Chronic Pain or Illness and Low Self Esteem and Body Image Issues. Angela considers it a privilege to journey with those who are struggling and has worked in partnership with Pembina Counselling Centre since June 2012. Christine is new to Pembina Counselling Centre and a recent graduate of Providence Theological Seminary. She holds a Masters degree in Counselling. Christine is a wife and mother of four, who has made her home in this community for more than twenty years. As a teenager and young adult, Christine had always felt pulled in the direction of the social sciences and imagined that one day she would become a trained helper and person who encourages. Throughout her life, Christine has often found herself on the receiving end of other people’s personal stories. It is these experiences and Christine’s love for people that have developed into her passion for accompanying others as they work through life’s challenges. Christine has been described as a good listener, who is kind, caring, and non-judgemental. Christine believes in working together with her clients; providing them with a safe place, a fresh perspective, practical tools and strategies, and support. Christine finds it a privilege to collaborate with her clients as they make changes and work towards their personal goals. Christine approaches her work as a counsellor with a humble confidence. A confidence that what she has learned and experienced through her own life experiences and through her education at Providence, is valuable and has equipped her to be helpful to others. And the humility to hold loosely what she thinks she knows; with the recognition that she will continue to learn from those with whom she journeys. Currently NOT Accepting new clients at this time. Wayne is the Founder and Director of InherentDesign Ministries and works in partnership with Pembina Counselling Centre. This partnership began in 2001 and has successfully continued over the past years. Prior to that Wayne worked in an outpatient setting for the Margaret Cochenour Hospital in Red Lake and area, Director for Northern Eagle Education Program (for The Red Lake Board of Education), Private Practice and a variety of church settings. Soul Care is how Wayne describes the process of counselling. Caring for the souls of others through Soul Talk represents his approach to counselling which is typically known as Talk Therapy. At PCC Wayne provides individual, couple, and family therapy for people seeking healing and growth for themselves and their significant relationships. With training in the area of Critical Incident Stress and Post Trauma Syndromes, Wayne has also intervened in various situations for local institutions. He has taught courses on Masculinity, Femininity, Marriage, Family, and Soul Talk, the language of the heart. Wayne has been a practicing therapist since 1981 and fully enjoys the process of connection, healing, and growth. He finds nothing more rewarding than to be a part of another human’s healing and growth, when they embrace the Soul Care experience. On a personal note Wayne and Phyllis have 5 children (all grownups) and 8 grandchildren. He loves sports, especially hockey, ball and fishing. Wayne & Phyllis make their home near Morden. Developing an interest in counselling through experiences in her youth at camps and college, Judi enjoys working with people and being a part of a setting that gives opportunity for personal and spiritual growth. Judi finds it meaningful and rewarding to support someone dealing with personal problems. Recognizing her need for education to develop the skills to not only be supportive to others but to offer constructive interaction, she pursued education in psychology and counselling. God has given Judi a desire to help people experience emotional and relational healing and personal growth that is based on relationship with Him. 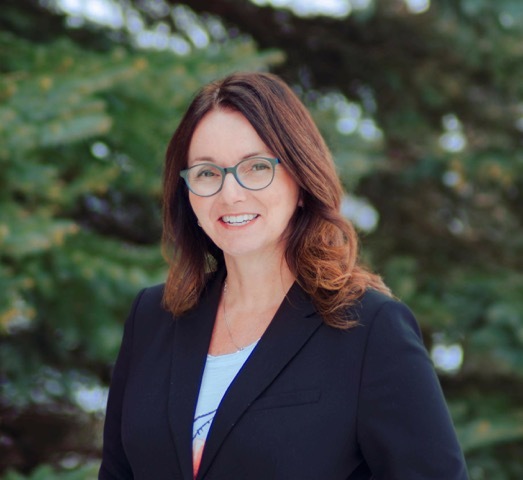 Judi has her Master of Arts in Counselling from Winnipeg Theological Seminary and for the past 19 years has counselled at Pembina Counselling Centre part-time in Morden and Winkler. She considers it a privilege to share a part of clients’ lives. Judi views sessions as an opportunity to work together in identifying needs and clarifying direction and goals pertaining to each individual. Her hope is that clients benefit by gaining understanding that leads to lasting change. Paul has been practicing as a full time professional counsellor since 1986 and moved to Morden in 1997 to continue counselling with Pembina Counselling Centre as Executive Director. Training at Grace Seminary, IN and Providence Seminary (formerly Winnipeg Theological Seminary, MB), provides a view of people, problems, and solutions that offers hope to all, no matter the situation. His aspiration and personal mission is to value people investing his time, energy and resources in order to awaken their capacities, to enrich what has been awakened, and to empower people toward their potential, as far as he has a role in doing so. Over the years, Paul has sought training that equips him to work with a broad range of problems. Some examples include: issues of addiction; mood disorders including depression, anxiety and anger; parenting concerns; spiritual issues; marital and family problems; communication; crisis intervention; critical incident stress management; eating disorders; grieving; issues of abuse, Eye Movement Integration Therapy and more. Paul finds it a great privilege to be entrusted with the concerns of clients and to connect & ally with them in their efforts to get help.